Questions continue to swirl as to the knowledge Cabinet Ministers had of Vince Natomagan’s violent criminal past, before making his appointment to the Board of Northlands College November 1. Natomagan’s appointment came at the recommendation of Advanced Education Minister Tina Beaudry-Mellor. Yet Natomagan is no stranger to the Sask. Party. He sought the nomination in the previous election for the Athabasca electoral district, donated $1100 to the Party in 2016 and publicly endorsed Beaudry-Mellor in her bid to become Premier. “The Minister of Advanced Education said that he [Natomagan] had been endorsed by northern communities. 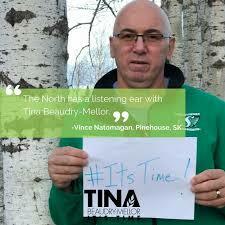 That Mr. Speaker is not what we’re hearing from northern communities. Is it possible that the endorsement that really mattered was the endorsement of her candidacy?” Carla Beck said in the Legislative Assembly Thursday. Deputy Premier Gordon Wyant assured legislators that no one in Cabinet was aware of Natomagan’s criminal convictions for assault and uttering threats. His convictions date to 1989 with the most recent domestic assault guilty plea on November 14. It were those convictions, which ultimately had Natomagan’s appointments to two government boards rescinded. Beaudry-Mellor has not fielded questions in the Legislature or spoke publicly about Natomagan since Tuesday, when the matter was raised by Beck. “Well, I’m horrified, especially in the north where we have really high rates of domestic violence and high rates of inter-personal violence it’s the wrong message to send. So, to say I’m horrified would be an understatement,” Beaudry-Mellor explained.